The Indian team management has slotted MS Dhoni as a potential No 5 in their line-up moving into the World Cup but for Chennai Super Kings, their captain will be batting a notch higher at No 4, confirmed coach Stephen Fleming. 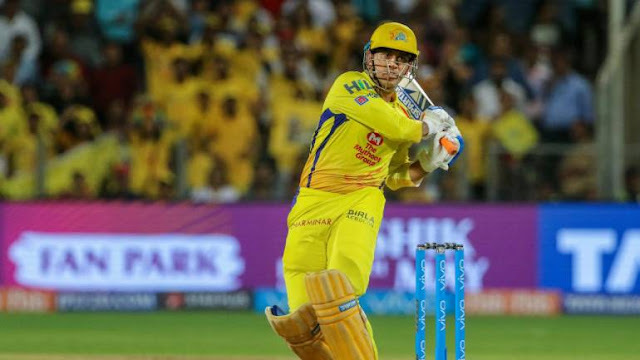 Dhoni batted pretty much (at) No 4 last year but we do use him in a little bit of a flexible role, so that won't change," Fleming said in Chennai on Wednesday. "His form has been outstanding in the past 10 months. We have a new player as well (Kedar Jadhav) which is great. So, we are really happy with the (batting) order and the thoughts around that," he added. Kedar played the first match of the last IPL season before a hamstring tear kept him out for nearly six months. We tend not to do it (compare). Because if you start looking at other teams, you are trapped away from what's good or bad of your own. There are enough great players with each side, so it comes down to mindset, team environment and culture and winning big moments," Fleming said. He spoke about how the team won the crucial moments which proved to be decisive in the end. "Last year, we just won big moments. We are just big on team culture and empowering the players to make decisions and win big moments. And last year was a snapshot of that. Even though the young man (34-year-old Jadhav) was only with us for one game, he played a huge part in winning that game with (Dwayne) Bravo. And Faf du Plessis and (Shane) Watson at the end. And the usual suspects like Dhoni and (Suresh) Raina." The CSK coach praised fellow New Zealander and spinner Mitchell Santner, who missed last season owing to injury, and said he has a great record in the sub-continent and it is good to have him.